LIEUTENANT - Upper class British, authoritarian. NIGEL - Lower class, combative..
TONKERS - Lower class, fearful. SKEETER - Southern American redneck. Four soldiers in a trench find more to fight about with each other than with the enemy. 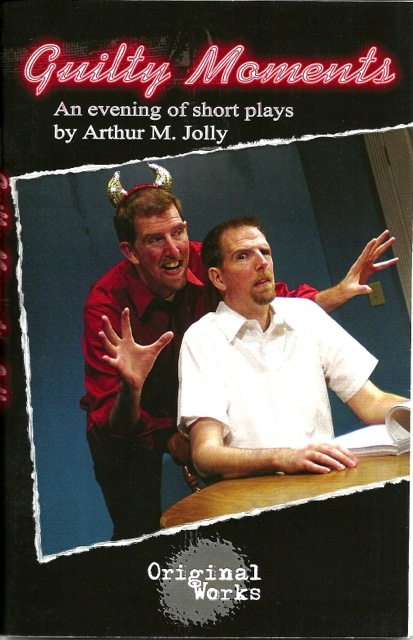 The play was also produced at Millersville University in 2009. Mike Symmonds, John Frank, Chris Symmonds and Morris Nash in the US premiere. 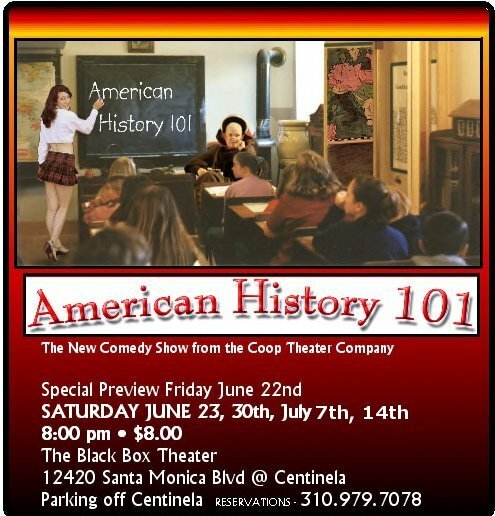 The Black Box Theatre, Los Angeles. Photo by Alex Moy. 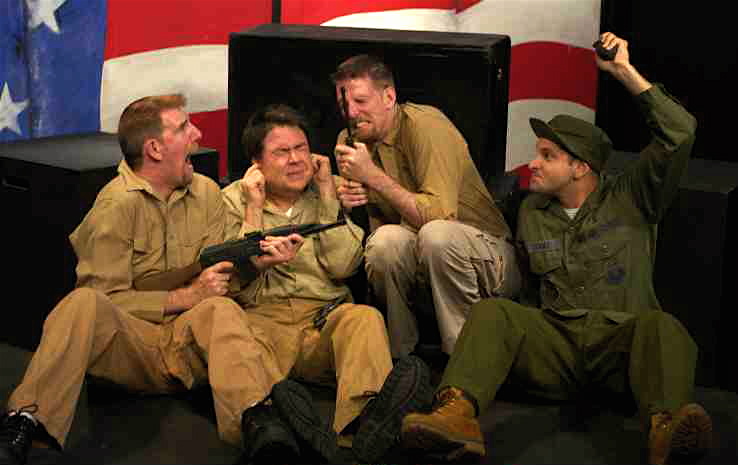 EVERY BATTLE, EVERY WAR was originally written as part of the sketch show AMERICAN HISTORY 101 at the Black Box Theatre in Los Angeles, and went on to be produced at Millersville University in Pennsylvania, and in London at the Behind the Bike Shed Theatre, and at the Hen & Chickens Theatre. While the play is funny, it has some poignant moments, and, I'd like to think, a message behind the silliness. 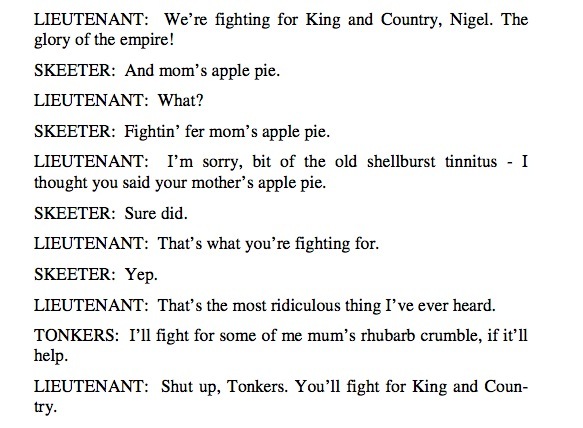 American and British soldiers in a muddy trench start arguing that fighting for "mom's apple pie" is unacceptable to British soldiers determined to fight for "King and Country". The title comes from the line Every battle, every war, is fought for things worth dying for which has been quoted in numerous articles and essays. It might turn out to be the most enduring line of dialogue I've ever written. We'll see. 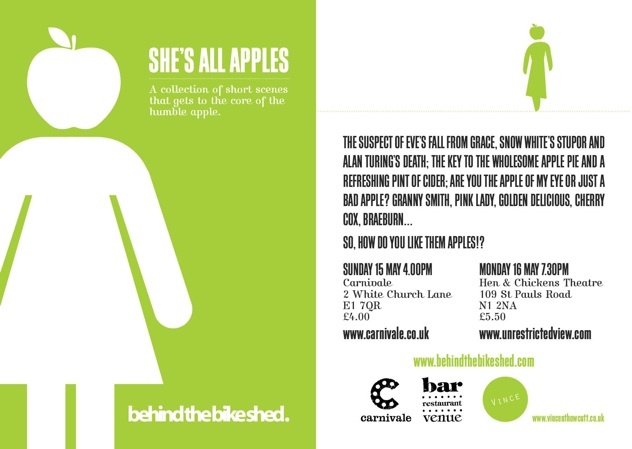 Every Battle, Every War had its UK PREMIERE from Behind the Bike Shed in London as part of the She's All Apples Festival in May 2011.